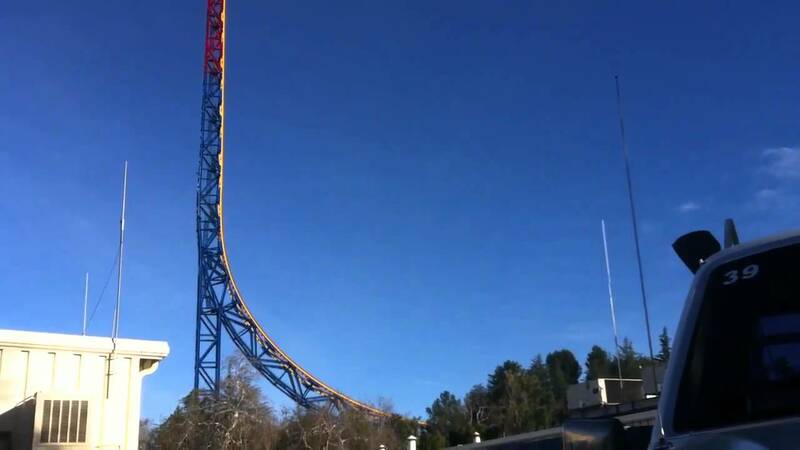 Here is a video of one of the first tests of the ride! Pretty exciting! Awesome! It actually goes all the way to the top! I've so gotta go this March when this opens and then May when Lantern opens. ^? Lantern is opening by the summer? Is that Possible since it did not start construction until late last year? Looks like it goes a LOT higher than the normal Superman did. Most roller coasters are built in a matter of months. ^that's crazy, I am use to the 2 years or more time it takes at Disneyland to built a ride or show. No you did not just mention a comparison to Disneyland did you? I love the new paint job. There's also a point of view video floating around (it's official, I believe it's on their facebook page), and it looks pretty awesome. Backwards that high makes for a pretty huge difference. It's been nice with it closed. So quiet now in that area of the park. The park posted some pics of the commercial filming on their FB page ... new trains are interesting, but pretty cool IMO.